Say hello to my new friends. 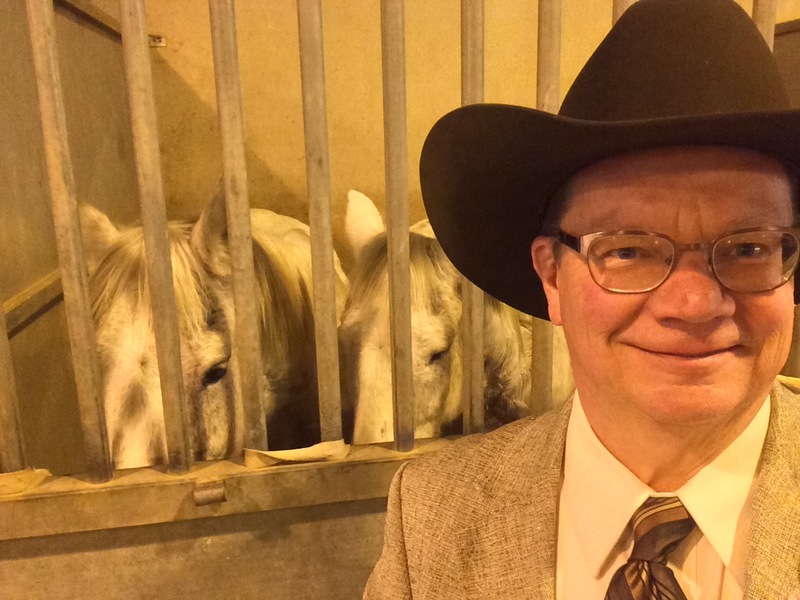 As I walked the grounds of the Fort Worth Stock Show & Rodeo on Saturday, I stopped at this stall and these two walked up and said hello – makes me want to look for acreage so I can take these two home! This pair pulls one of the chuck wagons that race during the rodeo performance. Although they run all-out during the race, here they were as calm, friendly and docile as could be. Met these two at the FWSSR. Sweet animals! Throwback Thursday. 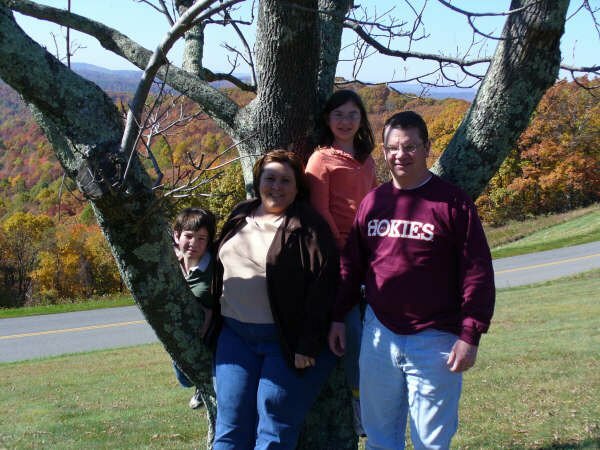 This is one of my favorite family pictures, taken in the fall of 2011 on the Blue Ridge Parkway in Virginia. 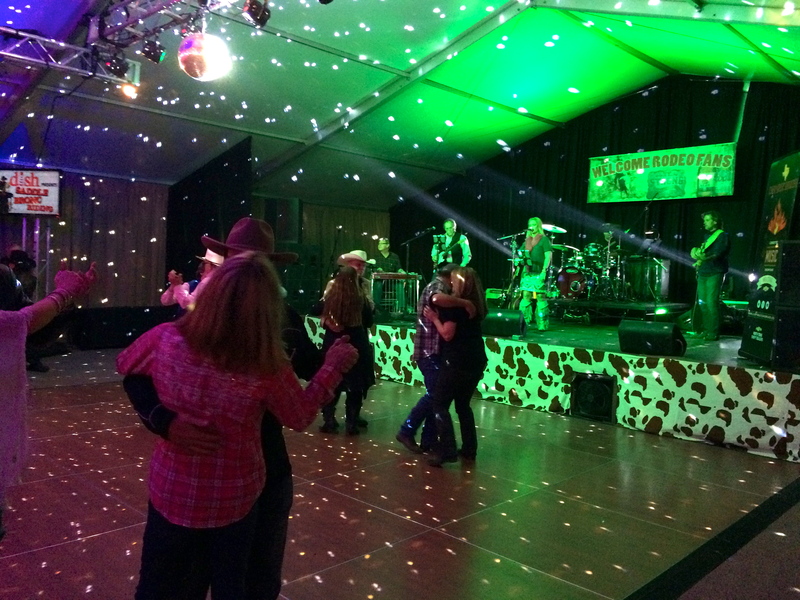 Give a group of Texans a dance floor and a great band playing fine Texas music and you’ve got yourself a really fun time. In the Rodeo Roadhouse at the Fort Worth Stock Show & Rodeo last night, Jolie Holiday and her band offered up some of the finest, ranging all the way from Patsy Cline to Stevie Nicks. I took this pic just as Jolie began one of her Patsy Cline covers. I was just in time; the dance floor was packed soon after. The Grand Entry was just about finished when I snapped this picture from about 20 feet away from this rider and our American flag. 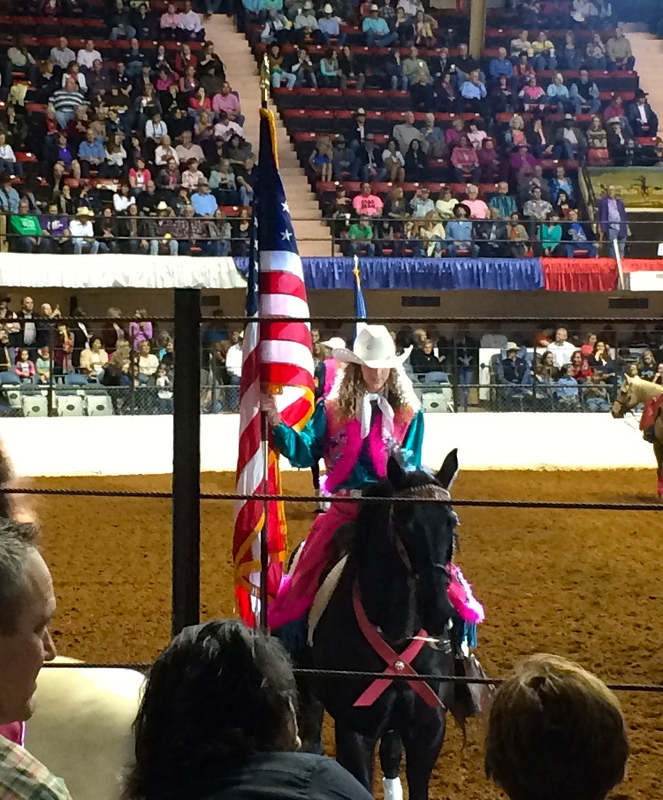 As the flag enters the arena, guests stand as the rider passes before them, then are invited to sit and enjoy the grand entry procession of stock show dignitaries. Sisters Megan and Summer Gay have presented the Colors each of the four years I’ve been involved with the Fort Worth Stock Show & Rodeo and they do an outstanding job. Many believe that the New England Patriots displayed legerdemain in deflating 11 of 12 game balls prior to their AFC Championship game against the Indianapolis Colts. However, the Patriots and their fans believe the Pats displayed great legerdemain in walloping the Colts 45-7 in that same game. Well, which was it? As Word Master for this week’s meeting of my Toastmasters club, I needed a word that most people in the group have likely never heard. That is the purpose of this role, after all: to help our members expand their vocabulary. My Merriam Webster Dictionary app solved my dilemma by offering me a word that met this criterion while allowing me to craft a usage example around a topic that is generating much discussion these days – the New England Patriots’ “deflategate” scandal. So, did the Patriots display legerdemain (1) or legerdemain (2) in the AFC Championship game? I believe they epitomized the concept of legerdemain by nailing both definitions. Based on news reports thus far into the NFL investigation, it appears clear that the Patroits managed to alter the game balls beyond what is allowed in the rules after the game officials had validated the balls. Did that by itself make the difference in the outcome of this game? Not hardly in my opinion. The final score was 45-7, after all, and New England outplayed Indy in all aspects of the game. The NFL reported yesterday that their investigation will likely not be completed for another couple of weeks, so we fans of sports talk radio will be hearing about “deflategate” for at least that long. I think it’s sad that one of arguably the best teams to play the game apparently felt the need to cheat the rules to gain an edge over their opponent. Based on interviews with former NFL Quarterbacks and others who know Coach Bill Belichick and QB Tom Brady well, I don’t believe this occurred without their knowledge. It will be interesting to see how this all plays out. 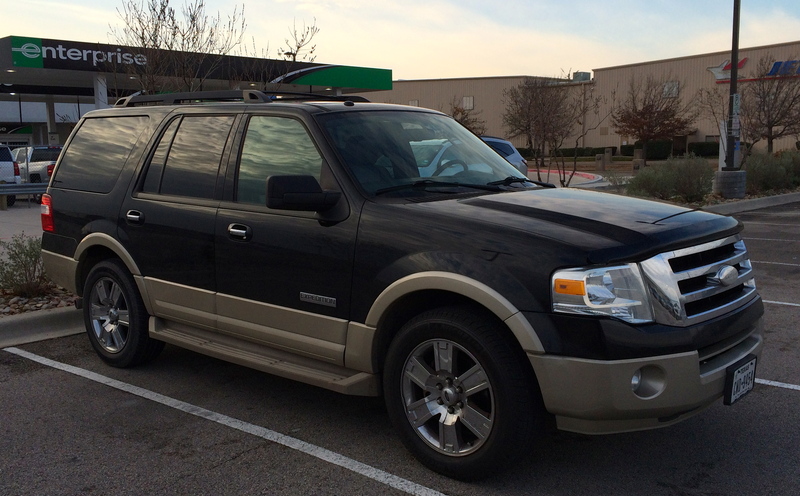 My trusty steed is this 2007 Ford Expedition featuring Ford’s Eddie Bauer package. I acquired it in December 2013 after losing our minivan in an accident in San Antonio. It was a one-owner vehicle when I bought it, and the previous owner kept it in immaculate condition. Now approaching 148,000 miles it runs like a top, rides real smooth, and has tons of cargo space. What does my choosing to drive an Expedition say about me? I have no idea. But I like it. I took this photo in the cell phone waiting lot at Dallas Love Field so the colleague I was picking up would have no question as to what vehicle to seek upon exiting the airport. 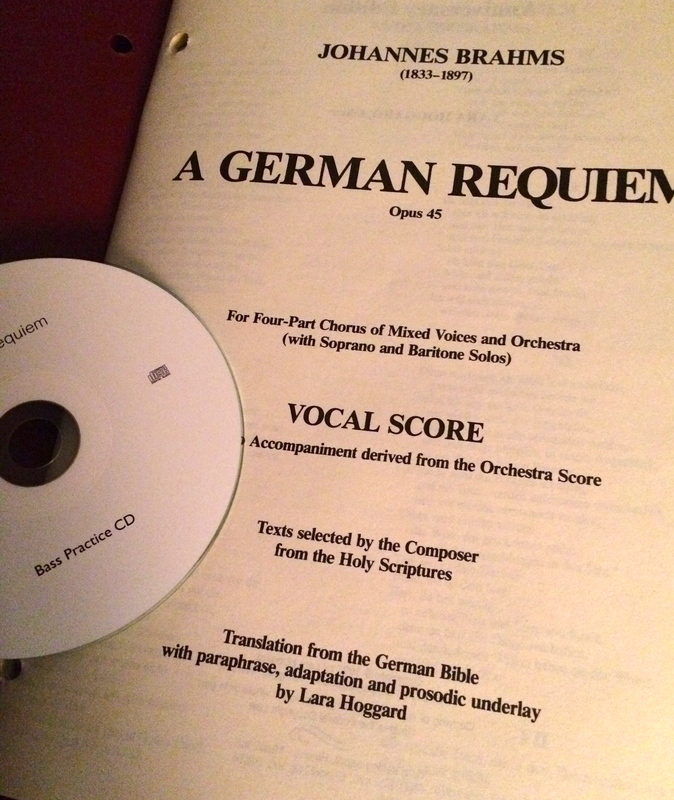 Brahms’ Requiem. A magnificent piece of music celebrating the Christian passage from this life into life eternal with our Lord, Jesus Christ, as it honors the pain and grief that each of us bear at the loss of a loved one. I am honored and excited to have the opportunity to learn this piece with the Chorale of First Baptist Church of Keller and perform this piece with the Chorale, the Southwest Baptist Theological Seminary Chorus, and the Fort Worth Symphony Orchestra. We honor God with our music – Soli Deo Gloria! Looking forward to presenting this with the FBC Chorale, SWBTS chorus, and the Fort Worth Symphony Orchestra in just a few months!